Speak to any experienced in-house recruiter and they will tell you how hard it is to find the talent they need. For some it might be because they are recruiting to tight job specifications that don’t allow for flexibility in the candidate profile to include someone with the potential to grow, and for others because their offer – the employee value proposition – isn’t attractive enough to make them want to join. They type of company you are to work for is important. Increasingly job applicants seek out employee reviews and other forms of validation from digital platforms, and word of mouth through connections. This is because they want to join a business that will support them in their growth and development, whilst offering an employee experience that is conducive to productivity, performance and achieving their targets. Often candidates will drop out of a hiring process either because they have heard something negative about the organisation, or through a poor experience of how they are being treated during the interview phase. Organisations need to understand the value proposition they can offer to candidates, and how their employer brand is perceived by the outside world. Too many branding efforts focus on creating stories of working life, whereas the real conduit of the brand are the experiences shared by those currently working, or who have already left. A business looking to use its employer brand for talent attraction needs to focus less on creating stories, and more on finding the employees and alumni whose stories will help validate and showcase the real employee experience. At October’s In-House Recruitment Summit, we will hear a seminar from Theo Smith, who leads recruitment at the National Institute for Health and Care Excellence, about how he leverages the power of employees to share the story of life at an organisation that makes a real difference, whilst using their real EVP to attract and retain the people they need. And all on a tight budget. Meanwhile there will also be Masterclasses from employer branding guru Dave Hazelhurst, on how to build an effective brand in just 100 days. The other hot topic for recruiters this year is Artificial Intelligence, and how it will impact what they do. Whilst it’s a subject that is widely discussed, and one that will clearly have a major impact on the sector in the future, in truth there isn’t much evidence of it yet in most recruitment processes. What we do see though is increasing automation around parts of hiring – from scheduling interviews to shortlist selection – which can free up time for recruiters to build real relationships with potential and future candidates. Time that can spent better conveying the employee value proposition and the articulating the opportunities for growth and development. An automated process can also create an improved candidate experience. We know that many applicants become frustrated with the process – lack of information, long application forms, lack of feedback, long gaps between communication – and are more inclined to drop out. One quick win for automation is to make this process more seamless and welcoming to potential hires. We will hear about this, and more, at the In-House Recruitment Summit when Julian Ladd of specialist talent software company Oleeo (formerly WCN) tells us about the 5 ways that AI will transform the future of recruitment, from informing hiring decisions to improving candidate engagement. This will be a seminar guaranteed to get every recruiter thinking about how their job will be redefined in the future! From talent shortages to automated hiring, creating a brand for attraction to putting the candidate at the heart of the recruitment process, October’s In-House Recruitment Summit will give recruiters the knowledge and insight they need to improve their hiring performance. 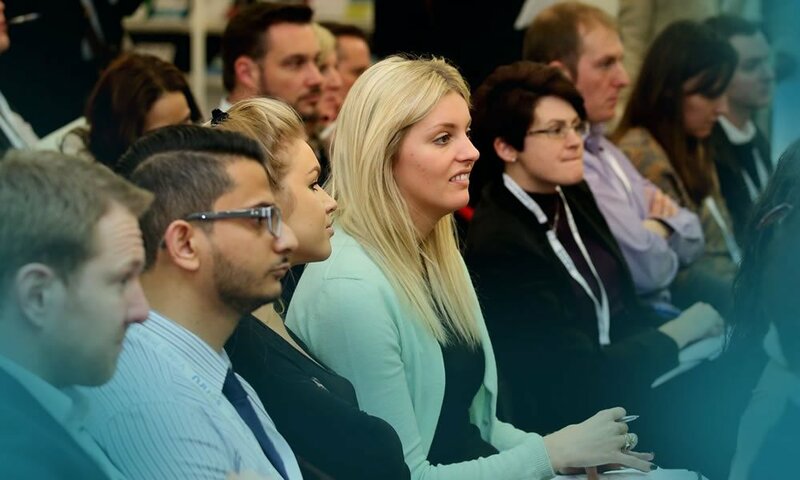 The Shine team will be at stand 63, right next to the seminar theatres, where we will be sharing insights on best practice, what a modern video interviewing platform looks like and how values based recruitment can positively transform your retention rates.